Our smartphones are very private devices and this is why companies are moving towards better and secure options to lock a smartphone. Some companies depend on a fingerprint sensor while others also use an IR based face recognition system to lock their smartphones. This is a great way to make sure that the device and the data is secure while it is locked. But what if you have a few files on your smartphone that you don’t want anyone to see? Private documents, pictures, videos or anything else. You can easily expose these things accidentally to anyone and this is where the Lockbox feature on your OnePlus smartphone comes in. What is the Lockbox feature on your OnePlus phones? To expand on the introduction to Lockbox above, the Lockbox feature is part of OnePlus’s own file manager app for Oxygen OS and it will basically hide the photos, videos, documents and what not when you add those files to Lockbox. No one will be able to view these files in the Gallery or the File Manager and only you will have access to these files with the Lockbox feature. Initially, this feature was known as Secure Box but with recent updates, OnePlus has updated its name to Lockbox. Lockbox lets you lock files and hide them on your device using your phone’s PIN or lock option. While it does not encrypt the files to make sure they’re properly hidden, but as a feature Lockbox is quite useful the way it really is. To use Lockbox, you need to make sure that you have the native File Manager app on your OnePlus smartphone. Also, make sure that the app is installed and updated if not, you can download the APK from OnePlus forums. Note: Update the phone with the latest update from OnePlus if you cannot find the Lockbox option. The first step is to open the default File Manager app on your OnePlus smartphone. Once the File Manager app is opened, scroll down in the Categories tab and look for the option named Lockbox. Once the Lockbox option is tapped, you will see a new screen that will ask you to set a pin for Lockbox. This pin can be a different pin from your phone lock pin. Once the pin is set up, you will be taken into your Lockbox section. This section will currently be empty. Now, to hide your files using Lockbox, you can just browse to the files that you want to hide. Long press and select the files you want to hide and then tap on the menu icon on the top right side to reveal options. Tap on Move to Lockbox and the files will be instantly moved to the Lockbox on your phone. Once they’re in the Lockbox, the files will not be visible in Gallery or even in the file manager. As you can see, the files above are moved into the Lockbox and if you read the text in the bottom of the screenshot, you will notice that these files won’t be opened in any other app and you have to manually open the apps to make sure of the files security. In order to remove the files from the Lockbox, you have to use a fairly simple method. Open the Lockbox and enter your pin/fingerprint to unlock it. Once you’re into your Lockbox, you will be able to select the files that you want to unhide or move out of the Lockbox. Once selected, open the menu from the top right side of the display and then tap on Move Out. Once you tap on Move Out, you will be asked to choose a location to export these files from Lockbox. Choose an appropriate location and these files will be made available on your smartphone again. A lot of phones don’t have a basic feature such as this in their File Manager but with the addition of Lockbox, OnePlus had made sure that their smartphone users have an option to use an inbuilt file security system to hide files. 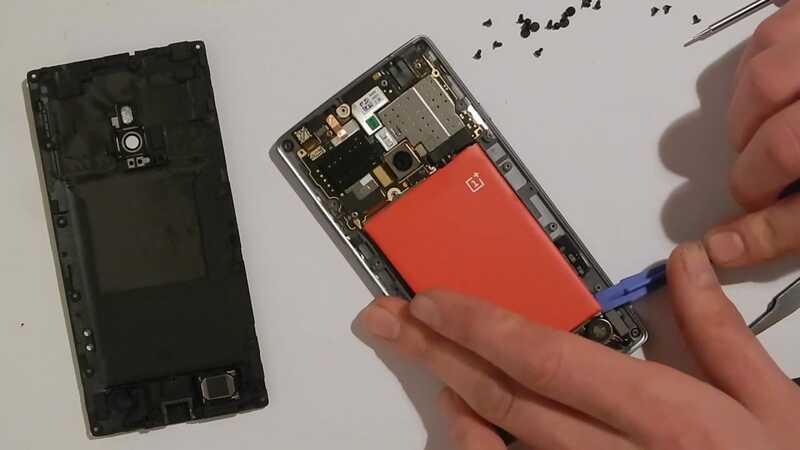 Previous articleHow to Fix OnePlus Battery Optimization Issue? How to Fix OnePlus Battery Optimization Issue?